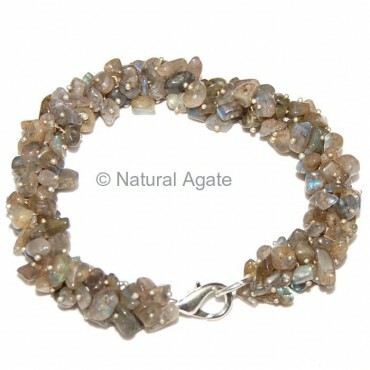 Labrodrite Hand Made Chips Bracelet is a fancy piece of accessory. It can be worn with any outfit. It is 7in long and available on Natural Agate.